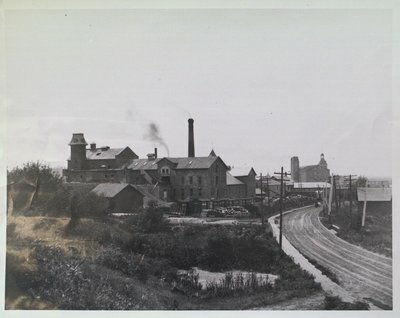 A photograph of the Riordon Paper Mill, St. Catharines, Ontario (Merritton area) c1889. Situated by old locks 17 and 18 on the Welland Canal. Picture also shows Merritt Street to the right of the photograph.